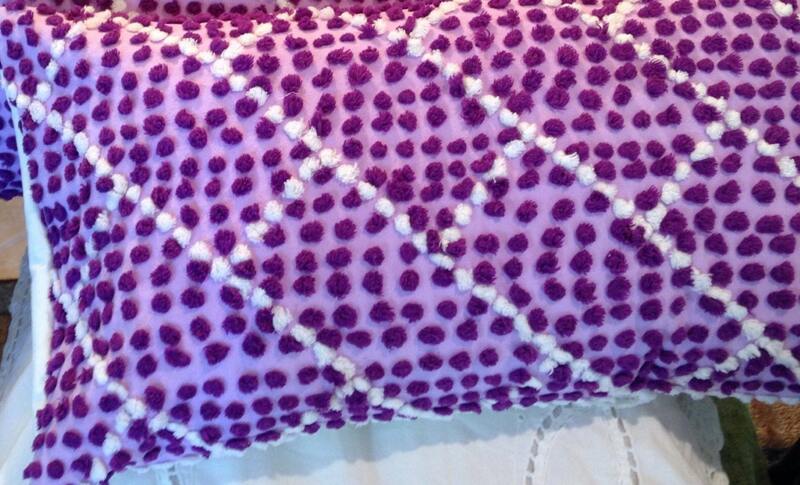 Vintage purple dotted with white dotted striped chenille along with vintage embroidered pillow case material make this pillow cover unique and special. The price is for one of this beautiful pair of pillow covers. 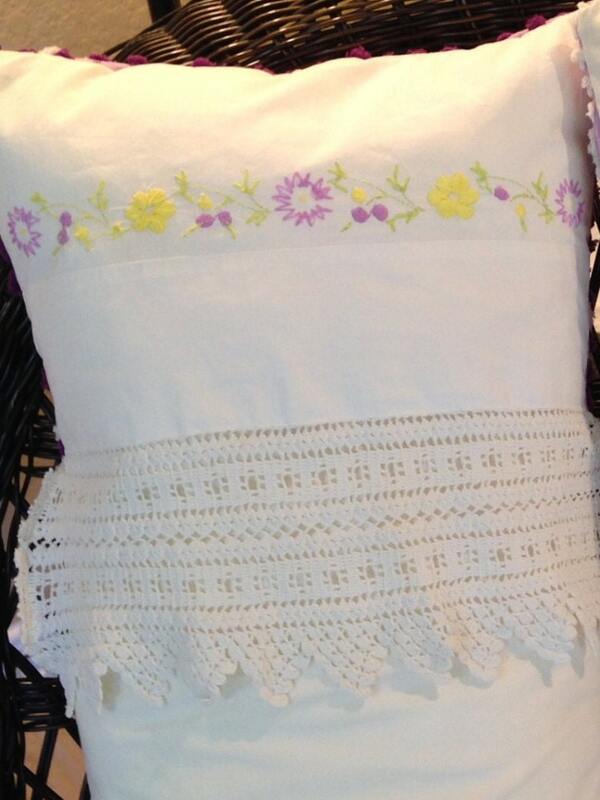 The backs are from a pair of vintage pillowcases with embroidered yellow and purple flowers with crochet lace trim. The envelope back makes it easy to insert your own 12" by20" pillow form. All seams are serged for durability. 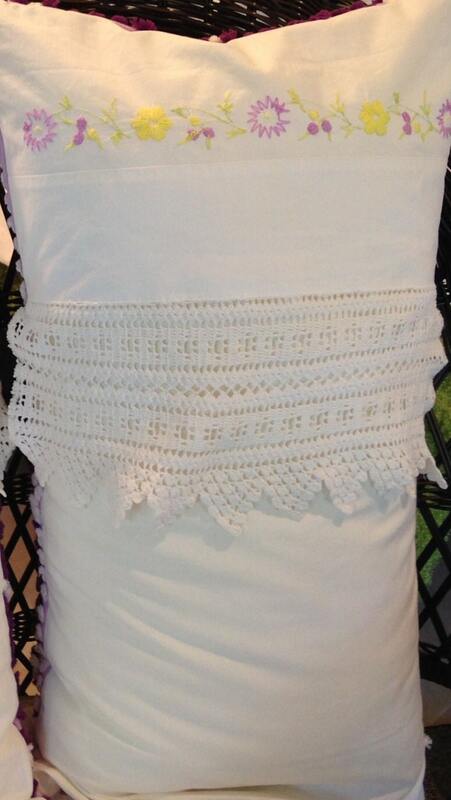 I make these beautiful pillow covers from salvage vintage chenille and linens and give them a new life for your home. 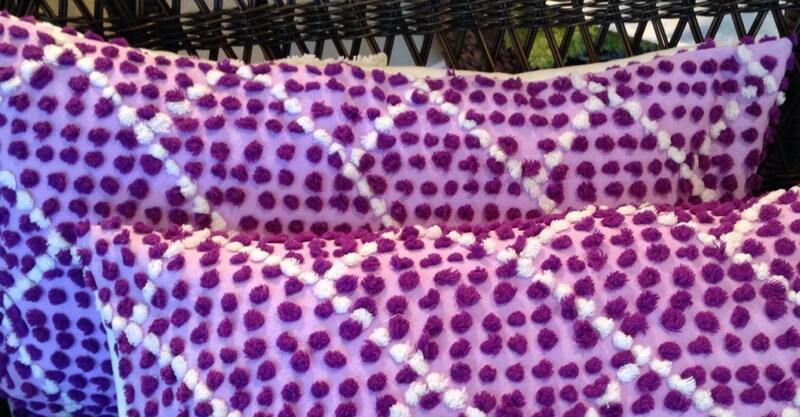 Chenille Pillow cover repurposed vintage purple dot lumbar pillow covers vintage chenille purple chenille pillow covers vintage crochet hem.